We have developed low cost polyurethane foam panel molds that can produce plain panels or SIP panels. We recently developed a polyurethane foam panel mold for under $3,000 that allows us to produce highly customized panels. 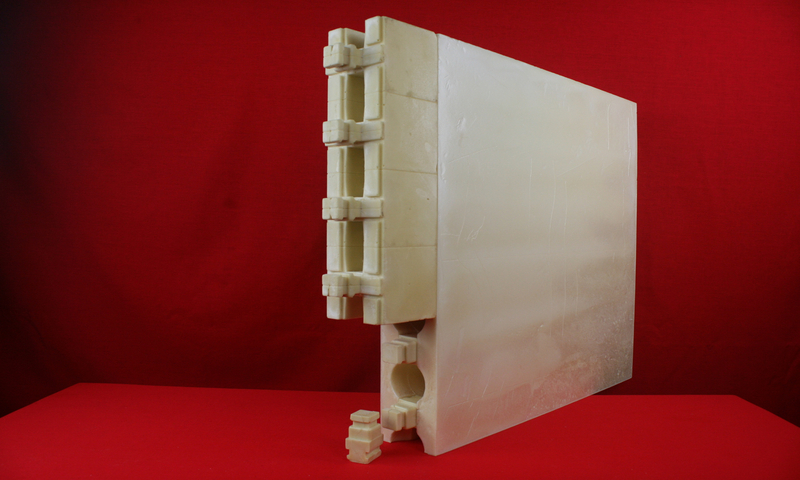 The polyurethane (PU) foam SIP panel and the plain PU panels shown below were both recently produced from this mold. 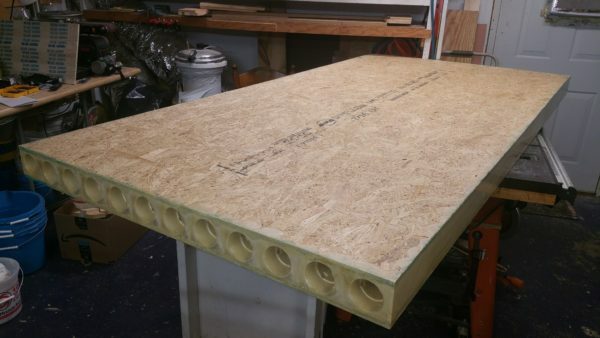 Polyurethane foam SIP panel made from inexpensive mold. 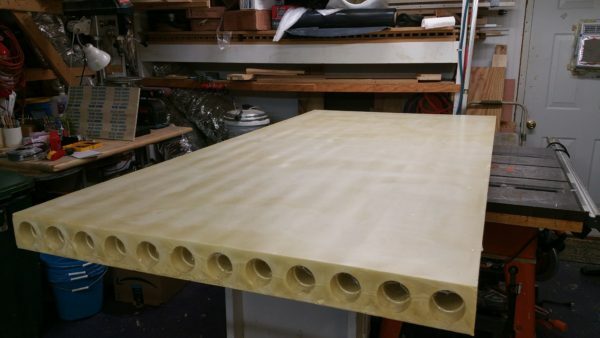 Plain polyurethane foam panel made from inexpensive mold. The panels shown above both measure 8 feet by 4 feet by 4 inches. Panels can easily be made in different lengths, thicknesses, with or without holes, different sized holes, or with different hole configurations. The above video is a discussion about our the inexpensive panel mold that we developed and why we are seeking mold manufacturing partners. These interlocking blocks were made out of aluminum. The unique thing about Zipblocks is that they can be made out of just about any material that can be cast, machined, or printed. A person could cast our interlocking blocks out of solid steel if they wanted to. It would probably be easiest to cast the lugs and sides separately and then weld them together. If one wanted their steel blocks to engage together very snugly, then the catches that are on the insides of our blocks that engage the block lugs could be made out of rubber as opposed to just being solid steel? The rubber catches could simply be plugged into holes and extend out just as if they were part of a solid steel cast that had steel catches. Just as our interlocking blocks can be made out of any material, Zipblocks that are made out of different materials can mate with each other regardless of the material that they are made from. A wooden Zipblock can interlock with a steel Zipblock that can interlock with a polyurethane foam Zipblock. Zipblocks don’t care very much about what they are made out of, they simply interlock regardless of what they are made from. While one could make our interlocking blocks out of steel, what would a person use steel blocks for? Perhaps our steel Zipblocks could rest on and be mated with some rubber Zipblocks? Perhaps our steel Zipblocks have some heavy machinery mounted on top of them and the rubber Zipblocks underneath provide some noise dampening? Everything is about cost savings nowadays. 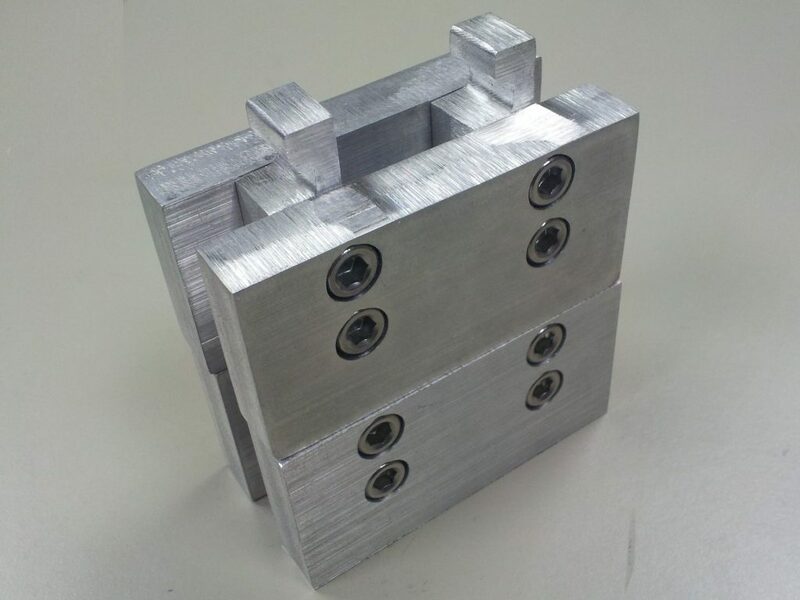 If steel and rubber Zipblocks were available at a reasonable costs, perhaps they might become a standard mounting component for heavy machinery? The initial cost could be offset by the fact that steel Zipblocks never lose their value unless they are physically damaged. In this case our steel Zipblocks’ value lies in supporting heavy machinery. If the equipment they support goes away the steel Zipblocks can always and forever be used elsewhere to support another piece of machinery. The point of this entire snippet is simply to emphasize the versatility of our interlocking blocks. We are not advocating the use of steel and rubber Zipblocks to support machinery even though this is possible.